I know that in your heart, you want a thriving life that provides you the time, space, and FREEDOM to take do the things that light you up, take care of yourself, and have enough cash to bankroll the operation with ease and fluidity. I know that you’ve been working hard, for quite some time. I know that you want more for yourself, but that you’re so damn exhausted form maintaining the status quo that working on anything but what’s in front of you feels like a distinct impossibility. I know you are up late at night, bleary eyed as you scouring webpages and Facebook, comparing your insides to everyone else’s outsides. I know that you see everyone else as competition, because in a world comprised entirely of lack, there are frenemies lurking in the shadows of every Facebook group that you’re a part of. I know that even your best attempts to remain in integrity with yourself and your vision for your life are squandered when, instead of focusing on your own work, you are nervously peeking around to see what everyone else is doing. I know that it doesn’t feel productive to take care of yourself, get enough sleep, or invest in your self care – and that, because it doesn’t feel productive, it gets pushed to the back burner. I know that your life is running you, instead of the other way around. And, I know that it feels like there is no other way. I also know that this is simply untrue. I’ve been worrying about you, watching you get in your own way. 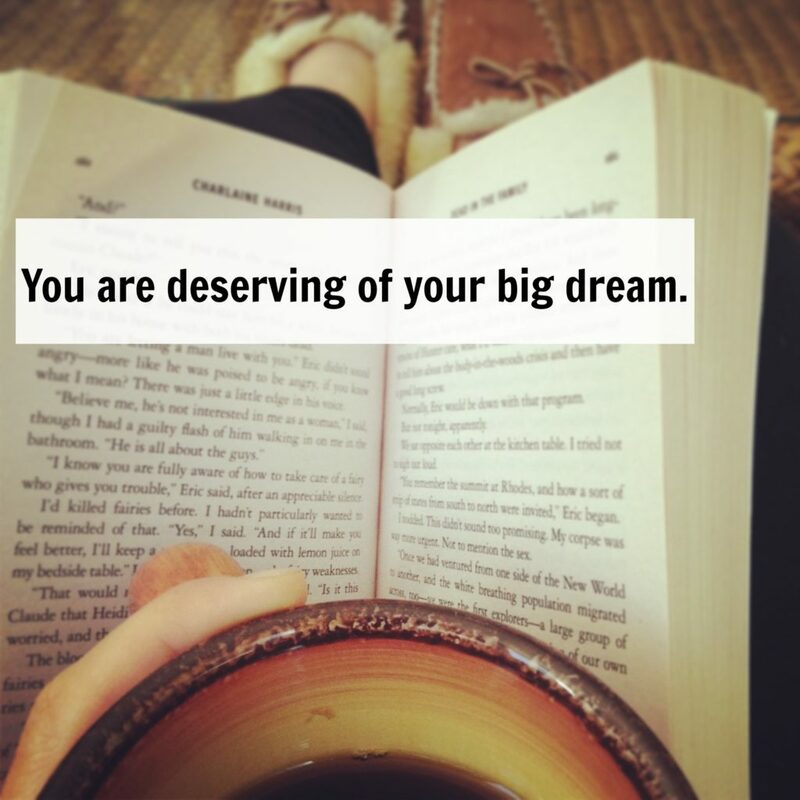 I have been afraid that you’ll take it all to heart – and use your frustration and exhaustion as evidence that you are undeserving of your big dream. You need to become your own best asset – and learn how to harness all of your gorgeous, compassionate, and creatively-minded tendencies and use them to heal yourself, first. Here are my favorite four tips to get you started, but please don’t forget – this is about you developing a system that works for you. If you’re reading the list below and they don’t resonate for you, that’s powerful information about what you’re craving. Honor that information by imagining what a good feeling system might look like for you. 1. Marry your daily self-care routine. This is crucial: you cannot bring your best to your life, if you do not tend to your body’s most basic needs. You are a human and not a robot, and, thus, in order to keep your energy levels high and your brain clear – you’ve got to make your needs a priority. Think back to the moments in your life when you felt your absolute best and try to distill those moments down to their parts. What were you prioritizing or taking care of? What do you need to be at your best, physically and emotionally? I know that I require a certain amount of sleep, unplugging, leafy greens, hydration, movement, and snuggling in order to feel really good. Because I love myself and want to support myself in my efforts, I prioritize these needs, knowing that when they are taken care of I feel really good in my business and in my life. What are you unwilling to do? What do you know that you need, as a part of your everyday, without exception? When you are looking to hit the reset button on the way that you take care of yourself and the energy that you bring to your business, learning to trust yourself is at the root of all of your endeavors. You develop trust when you make and keep promises to yourself, and create an environment rich for yourself to thrive in. This means developing a basic barometer for determining what feels really good from what feels really bad, and pledging to yourself to work to include more good in your daily life. This includes becoming a detective to your own experience, and allowing yourself to experiment with figuring out a routine that truly works for YOU. It might also include toying around with this a bit, until you find something that feels like a good fit. Oh.. consistency, that saucy (and elusive) minx. How often have you started out with the best of intentions, only to see your efforts peter out after a couple of days or weeks? You will never be perfect, and seeking perfection is a huge obstacle to sticking with your much-desired plans and routines. Often, when we feel like we’ve messed up or done something not in line with our intention for ourselves – we decide to throw away the whole day and start again tomorrow, instead of picking ourselves up, dusting ourselves off, and getting back on track. You may not be able to be consistently consistent with all of your best wishes for yourself, but you can give yourself the permission to get back on track when you notice that things are askew. Every moment is a moment to turn things around – whether that’s with your eating, your relationship with your spouse, or you mindset around your business. Also, I find that sticker charts and incentive programs can be really useful when you’re trying to create some order in your life. No, they’re not just for kids. 4. Learn to love your inner critic. When we are afraid of our big dreams, for whatever reason, this fear manifests as the constant chatter of our own inner critic. This is the voice that follows you around, telling you that you’ll never be enough, that no one will ever pay your prices, or that you should just shut up shop now and get a real job. I wasn’t able to prioritize myself until I really learned to notice how/why my critic was trying (in a stunted, immature sort of way) to keep me safe. Worst case scenario? I lose everything. Worst case scenario? I have to admit that I failed. Those things were really scary for me, and my inner critic was kicking up a LOT of dust trying frantically to protect me from feeling that hurt. Did I truly think I wasn’t worthy? No. There was a part of me that was (is) really afraid that everything would fall apart and would do and say anything to keep me from taking risks. When I learned to invite that part of myself to the conversation, validating her concerns and showing her huge amounts of compassion, I felt much calmer. I didn’t beat myself up every second. My mind cleared, and I was able to begin making decisions that were pro-active instead of reactive. Your life works when you do. As in, when your bodily systems are functioning at full speed and when you have a clear head and full heart. If you have a big dream that you are ready to begin inching closer to, be sweet to yourself by laying a groundwork of self-love and self-trust. I love the reminder that it comes with consistency. Right now I am living the big dream. I walked away from a career that was no longer serving me. I have built a healthy, loving, peaceful stable life that continues to open up big dreams. Yet I know that it’s about consistency of small steps. It no longer has to be all or nothing. For today it can be about following though new habits- taking the steps that supports them. Praying for the willingness to be willing to take action around the big dreams even if I don’t know where it’s leading. For today I get to continue building a solid foundation for a beautiful life. Lovely! You’ve inspired me to put on my running shoes, hit the trail and then curl up with my book and a hot tea for an hour or so before decorating our home for Christmas. Thank you. Then on to the BIG DREAM of the week. But treasuring the little ones along the way first.